Looking for baby products? You’ve come to the right place! We are Hong Kong’s one-stop natural, organic and eco-friendly baby online store with curated products for discerning parents. Whether you’re after the essentials, holiday gift inspiration, general gift ideas or the ultimate accessories - we really do have it all. We choose brands for their quality, ethics and appreciation of aesthetics, and we choose products that work, tested by little Louis and Baby Olivia. We carry the products that industry professionals trust and recommend, and that parents love. 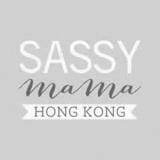 As featured in Sassy Mama HK, Hong Kong Free Press, and ExpatLivingHK, to name a few, at Petit Tippi we pride ourselves in curating the most functional, stylish and innovative baby products that our customers can truly count on. Keep your baby safe, secure and smiling at any time, as we offer a range of internationally-renowned brands and baby products , each specially designed to meet your child’s various needs. For when you’re changing, feeding, playing, travelling or just putting your beloved baby to sleep, we offer the ultimate product selection of ideal baby products to suit. We understand that being a parent can be an overwhelming and sometimes stressful experience, even if you’re not a first-time parent, which is why we work hard to curate the best products and take the guesswork out of buying the best, safest, and most functional baby and kids products for your little ones. We too understand that every baby is different, which is why we carry a variety of high-end, quality brands to suit a variety of needs - all through our easy-to-use online store. We want to make it easy for parents to lead a more natural and eco-friendly lifestyle for you and your family, whether you want to do that through cloth diapering, breastfeeding, baby led weaning, and so forth. Join us in the zero-waste movement, as we deliver the best organic products straight to your doorstep! We also offer free shipping in Hong Kong when you spend more than $500 on any order. For any delivery within Hong Kong, we offer fast shipping from when we first notify you, find out more here.